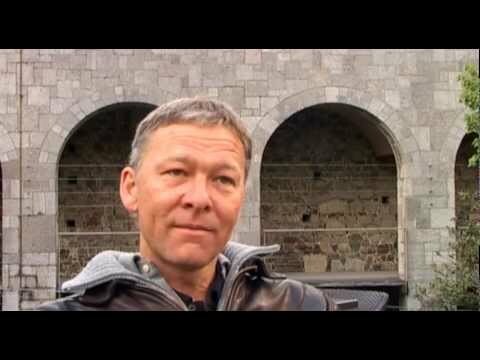 This is an interview with dr. Roman Herzog, a political activist and radio documentary author. He explains how EU adopted German policy from the 90s when Germany closed borders for refugees. EU has been fighting refugees outside it’s borders for many years now. In recent years these actions are mostly coordinated by European Union Agency FRONTEX. EU is also financing camps in our neighboring countries where refugees are kept imprisoned. Roman Herzog describes the horrific conditions in these camps. The interview was filmed and edited by Romana Zajec.